see mixer (leather cloth) ; cf. colour blender and dresser (639). scoops mixture of weighed proportions of cobalt oxide and alumina into hopper of grinding mill which grinds it, forming dry colour; mixes powdered colour either with gum, glycerine, and water in mixing machine to form moist (artists) colours, or with oil, etc., to form paint. 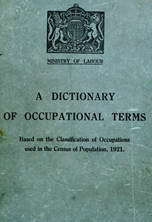 general term for any worker employed in making paints and colours, including colour grinder, and colour striker q.v. makes special water paint, called distemper, in wet or dry form, by mixing colours with a foundation, or body, of powdered lithopone, a white substance consisting of mixed zinc sulphide and barium sulphate; weighs ingredients, places in grinding mill, adds water, starts and stops mill by lever; shovels paint from mill. general term for persons engaged in grinding, mixing, and striking enamel paints. mixes and grinds up in mill various components used to make high temperature enamel for applying to hollowware; shovels components into mill and similarly removes after grinding; cf. grinder (enamel). shovels lump colours into hopper of roller grinding mill or into pan of edge runner, and, by hand lever, operatas mill which reduces them to powder ready for use in making paints, enamel paints or linoleum paints; runs in oil or water for wet grinding; shovels colour from machine or opens trap to run colour into a container; in case of enamels, shovels weighed components into cone grinding mill. a colour grinder q.v. who feeds and operates mill in which colours are ground in dry state, i.e. , without oil; sifts colours and shades them, by mixing with zinc white or other base. see colour mixer (leather cloth). (ii) (leather cloth ) colour maker, mash maker; feeds and attends machine grinding colour and oil together for printing patterns on leather cloth, linoleum, etc. ; as for colour grinder. a paint mixer q.v. who mixes lamp black and oil by machine for coating black leather cloth. attends mixing machine into which he tips or shovels paste, made by enamel grinder, ground colours and linseed oil; adds copal varnish and gold size and controls stirring apparatus which mixes ingredients thoroughly; runs out enamel when finished. shovels or tips dry colours, as produced by colour maker and colour mixer (158) q.v. into mixing vat, and runs in oil, or shovels in other colour, and sets stirring apparatus in action thus mixing thoroughly; grinds them very finely in a mill, to render them suitable for use in painting. a paint mixer q.v. who mixes, by hand, colours with driers, oils, etc., under direction of painter (592) q.v. see mixer, paint ; sometimes specifically designated, e.g. antiseptic composition paint maker, silicate paint maker, stucco paint maker. mixes white lead pulp with oil in steam-jacketted grinding mill; shovels in white lead, admits oil, starts up mill, turns on steam, runs off mixed paint to cooling tank. tips weighed quantities of paint colours into mash tub; starts and stops mechanical mixing arms; adds small quantities of different colours to match required tint; discharges contents of tub through trap in bottom or shovels them out. a paint mixer q.v. who mixes in a mixing machine zinc oxide with linseed oil to make a paint known as zinc white.